Uber users in some U.S. cities will have a chance to get a ride in sporty, luxurious style today in the new BMW 7 series. Uber customers in Chicago, Los Angeles, Miami and New York will be able to receive complimentary rides from BMW in the redesigned 2016 7 series beginning at noon local time, BMW said today. 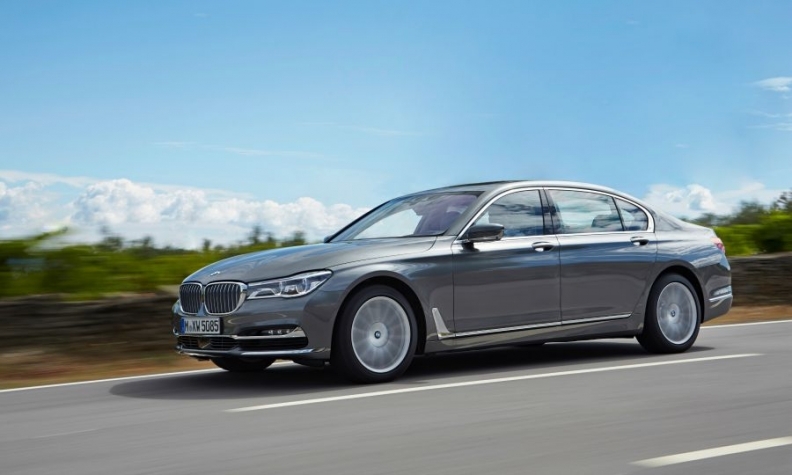 Uber users, and prospective buyers, in those markets can request to test drive the 7 series through the app. “We couldn’t think of a better way to celebrate the launch of the BMW 7 series than by offering Uber riders the unique chance to upgrade their ride and are thrilled to partner with BMW on this first-of-a-kind experience,” Amy Friedlander Hoffman, Uber’s head of business development and experiential marketing, said in a statement. The redesigned 2016 7 series will go on sale Saturday at U.S. dealerships with a base price of $82,295, including shipping. BMW has said it hopes to set a U.S. sales record with the new 7 series and retake the lead among large, rear-wheel drive luxury sedans from Mercedes-Benz’s S class. The 2016 7 series features a carbon core that makes it 290 pounds lighter than the previous generation, wireless charging and semiautonomous-driving features, among others.